Deanna here with another fun project for the Dies R Us inspirational blog. Here is what I made for you today. To make the card I started out with some pink card stock that I cut and folded to make a 4 1/4" X 5 1/2" card base. Next I added a black mat cut at 4 1/8" X 5 3/8". Then I cut and embossed a piece of white card stock that was 4" X 5 1/4". 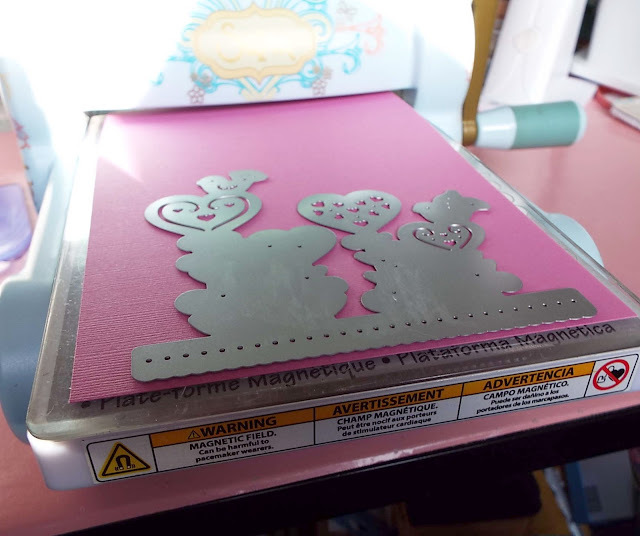 Next I die cut the Tutti Design Heart Flower Garden die out of some more of that pink card stock using my Big Shot and my adapter plate. The adapter plate is really worth buying.. It makes cutting these intricate dies so much easier. Finally I assembled my card and finished it with some iridescent sequins. Next I stamped my sentiment and fussy cut it out and adhered it to my card and the card is done. So cool that the Tutti die is all one piece so no need to line everything up.......love that! 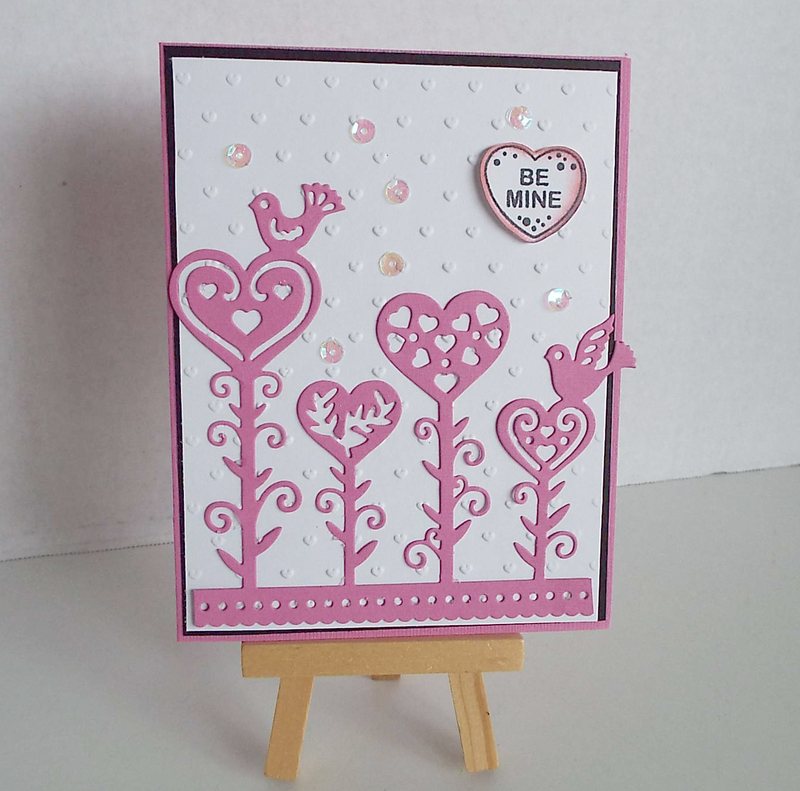 The pink you used is gorgeous against the white embossed background. very cute, like the embossed background with that die and the sequins are such a pretty compliment to the die also! so so pretty ... thanks for the tips! This is so sweet Deanna! I love those pretty heart flowers!! oh so sweet! the sequins are the perfect touch!